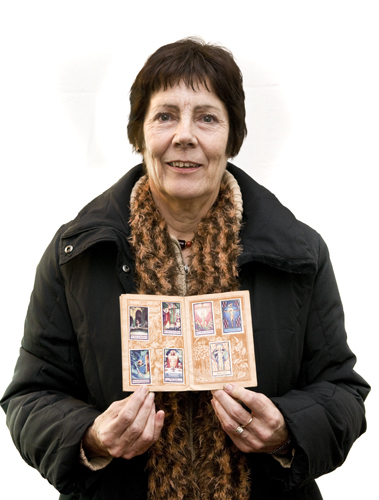 Artefact Description Blue booklet with card cover and red printed design of the Virgin Mary and two angels. 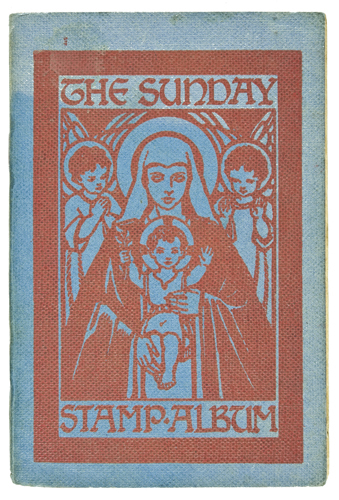 Text reads ‘ The Sunday Stamp Album’. Printed in Leighton Buzzard. History of Artefact Text on the inside front cover of the book reads ‘Every Stamp says duty done every blank cries Shame, Finish what you have begun in the Saviour’s Name.’ Each page has room for three stamps. There are sixteen pages. There are a few stamps missing.